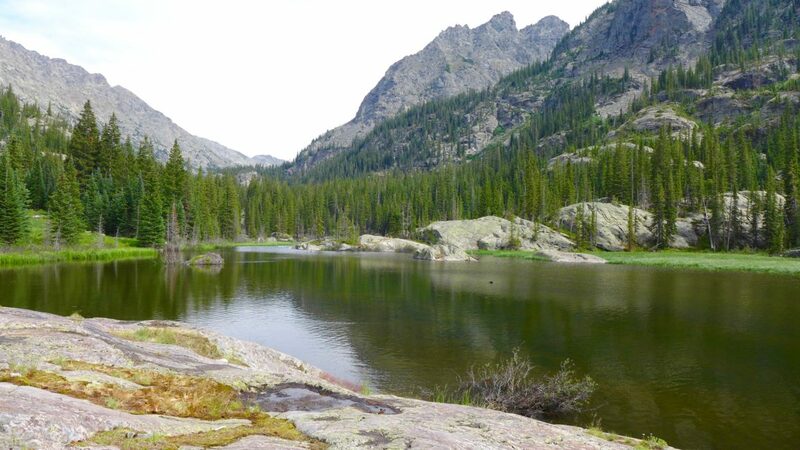 Pristine Halfmoon Lake, shown here under hazy skies in August 2018, is on Lime Creek within the Holy Cross Wilderness and is near the location for a potential diversion dam and tunnel back toward the existing Fry-Ark Project to the south. 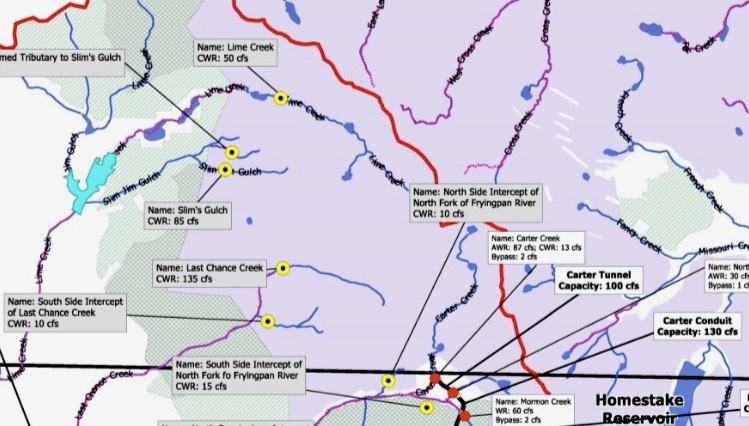 In its application Southeastern is seeking to maintain a list of conditional water rights that are part of the Fryingpan-Arkansas Project. 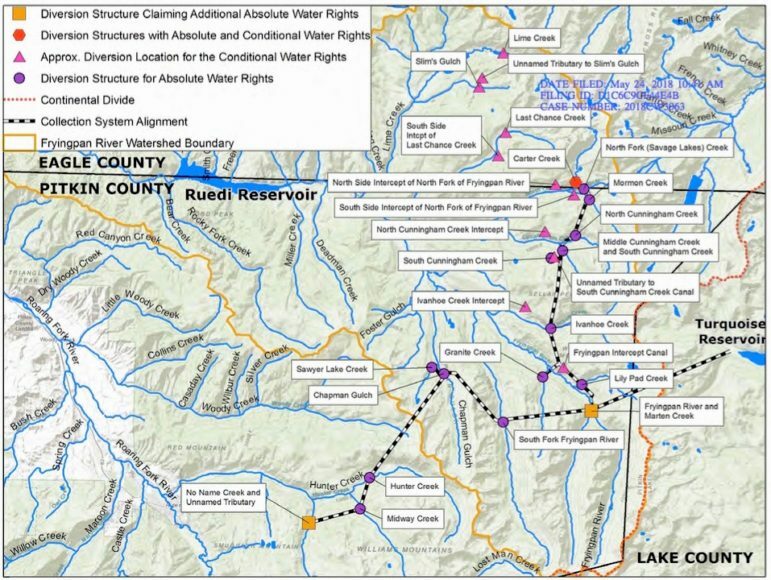 All of the water rights in the project were decreed in 1958, including those that have been absolute and others that are still conditional. 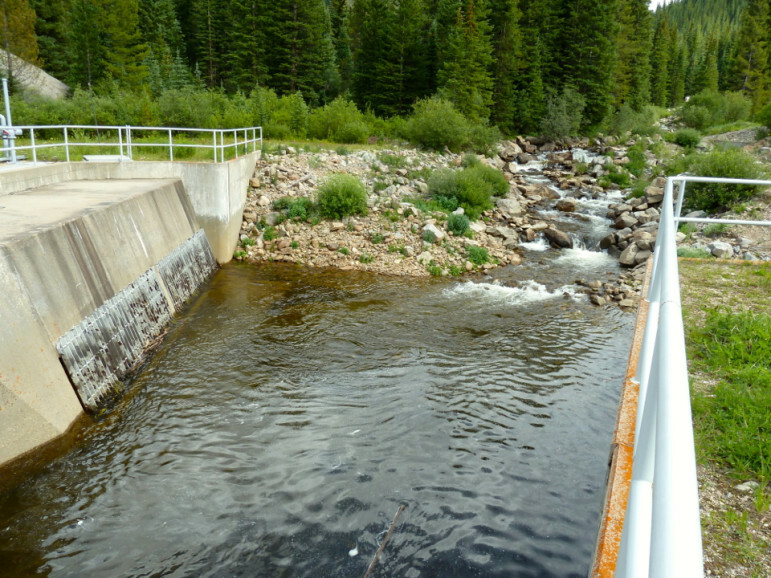 Some of the conditional rights are tied to existing structures that could possibly divert and move more water. 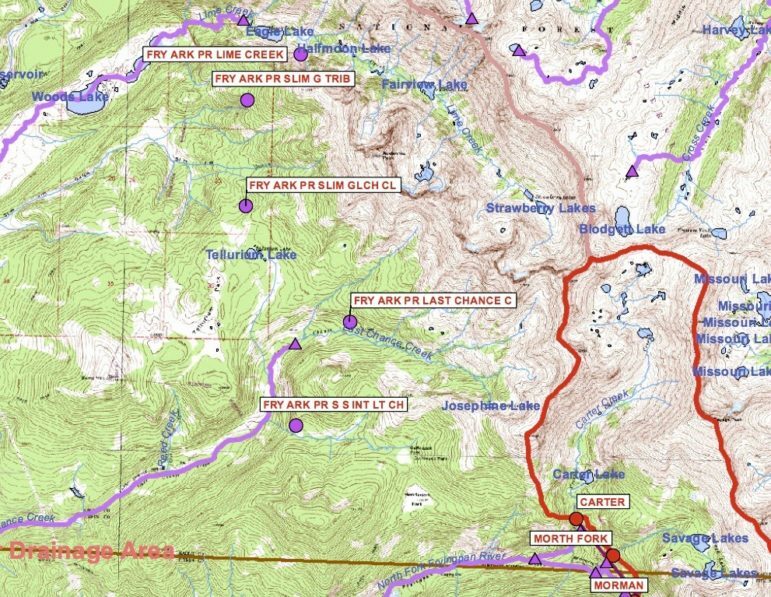 But six of the conditional rights are specifically tied to un-built diversion structures within the Holy Cross Wilderness, which was created by federal legislation passed in 1980. 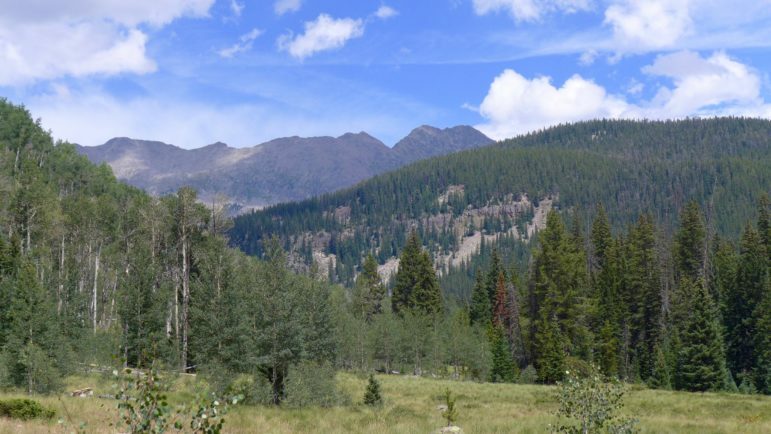 A view of the Last Chance Creek basin in the upper Fryingpan River basin. 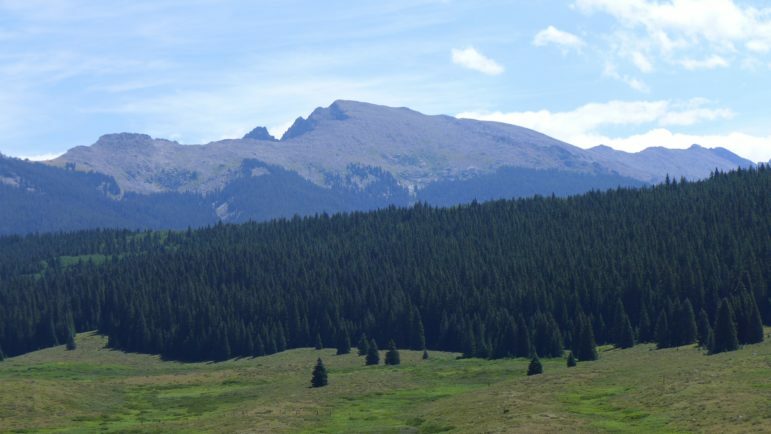 The main stem of Last Chance Creek wraps around the forested mountain in the middle of the photo, and a tributary to the south is off to the right, just out of view in the photo. 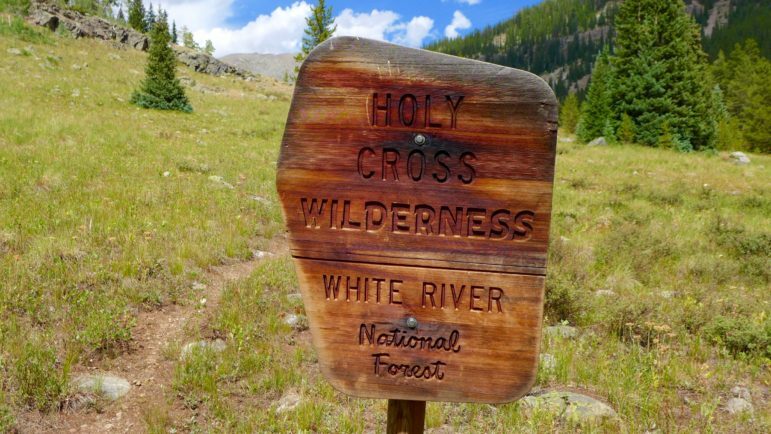 A sign marking the boundary of the Holy Cross Wilderness in the Last Chance Creek basin. The trail up the basin does not see a lot of hiking traffic.